A service charge of 1.5% per month (18% per annum) will apply to any unpaid invoices. 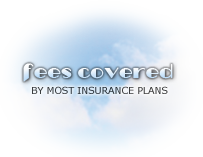 Our services are covered by dental insurance plans. If you or your loved one have dental insurance, we are more than happy to assist you in submitting the claim. Please provide us with information necessary to do so by filling out this form (Click Here to Download) and returning to us via fax (705-252-8040), email (info@toothpicksdental.com) or mail (89 Mennill Drive, Minesing, Ontario, L9X 0J2). It is our policy to request that the insurance company reimburse you directly (typically within 14 business days) and that you pay us within the 30 days allotted. We are approved for dental claims with ODSP (Ontario Disability Support Program), NIHB (Non-Insured Health Benefits, and VAC (Veterans Affairs Canada).